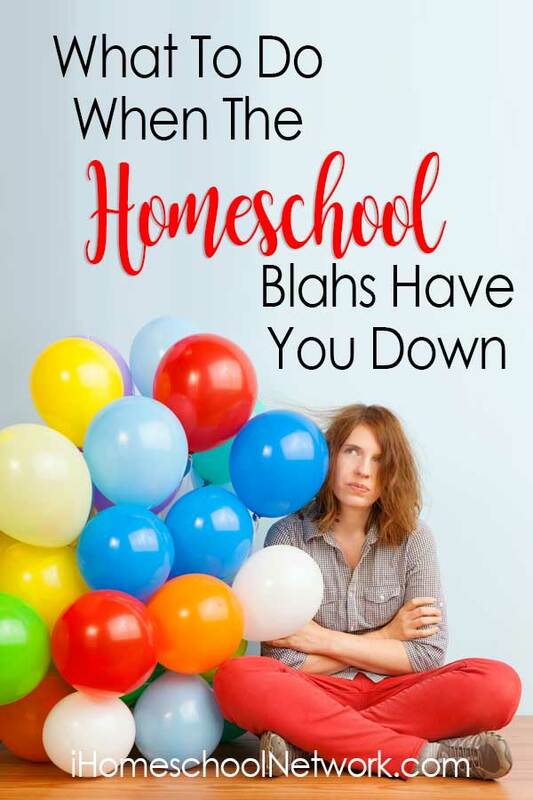 If you are new to homeschooling, you may not have experienced it just yet, but eventually, you may start to feel the homeschooling blahs. Yes, it’s a real thing! Ask your fellow veteran homeschool moms. Usually, right around the time you make it through Christmas break, you start to feel a bit less than motivated to pick homeschooling back up in January. Similar to the winter blahs of life, the homeschool blahs can affect your mood and your productivity. Maybe it’s because we come off of a holiday break and it’s just plain hard to get back into the groove of homeschooling. However, for some, the first semester might have been challenging, proving harder to get back in the saddle again. So what’s a homeschool mom to do? Here are some tips to help you bounce back when the homeschool blahs have got you down. It may be time to evaluate. If you are struggling to ease back into your homeschool routine, you may be procrastinating for a reason. When this occurs, it is the perfect time to reevaluate what’s working and what isn’t in your homeschool. Rather than pick back up where you left off, maybe you need to make some necessary adjustments to your routine or curriculum. Get outside anyway. Usually, our homeschool blahs strike around January or February and it makes sense, the cold and sometimes dreary weather keeps us inside more. Making it difficult to get adequate outside time and less time connecting with nature. But we also tend to forget that just because it’s cold doesn’t mean we have to burrow inside all winter long. Take advantage of the weather change and get outside anyway. Ice skating, making snowmen, and backyard campfires with smores are fun ways to stay connected with nature while still having outdoor fun! Extend your break. If you don’t feel 100% ready to get back to your homeschool routine, it’s possible you and your family need more time. You are still homeschooling if you decide to take a bit more time and enjoy some slower paced activities. Activities such as reading together as a family, playing boards games, cooking together, exploring nature, watching documentaries and enjoying various art mediums. It’s easy to get so caught up in the curriculum and checking off the boxes that we forget so many other activities are educational. Join a homeschool group. Having the support of others is priceless, especially when homeschooling. By joining a homeschool group, you can meet other homeschool moms that may be feeling the same way you are. It is so encouraging to have other moms to chat with and encourage one another during times that you may be feeling down about homeschooling or experiencing a slump of some type. It is also beneficial to enjoy the company of a homeschool group during the winter. It helps to get your kids out of the house and enjoying time with their peers. It is also a huge perk to be able to join in on various events and field trips to exciting places. Your children get to experience something fun while meeting new friends, win-win. Read. Besides reading aloud with your family, reading for your own encouragement is a fantastic way to boost your mood or change your outlook. Sometimes a little perspective is all we need to get recharged and motivated to jump back in. Find an encouraging homeschool book or homeschool blog posts to read that resonate with your homeschool struggles. Whatever you choose to do; to overcome the homeschool blahs when you are feeling down, be encouraged that we all experience it at one point or another. Making a positive change or adjustment can make all the difference to ease back into your homeschool routine and finish the year out strong.